Hy-Tech Engineers Pvt. Ltd., is today a nationwide well-known leader in the manufacture of Hydraulic Fittings and also ISO 9001:2008, TS16949 certified company, catering to almost all leading OEM’s like Machine Tool Manufacturers, Earth Moving Equipment Manufacturers, Plastic Molding Machine Manufacturers, Farming Equipment,Power Pack Manufacturers, Automobile Industries & steel Plants.Also Exports in big volume to Europian OEMS. Founded in 1978, by a team of dedicated technocrats, it has always grown in leaps and bounds, and has won the esteem of all the customers. In attaining this goal, the Company’s objectives of meeting the customers’ increasing expectations for Quality, Delivery and Value were never compromised. The Company has always keeping pace with the latest technological developments. It has recently introduced Multi Spindles, CNCs & SPM machines to enhance the Quality & Productivity. 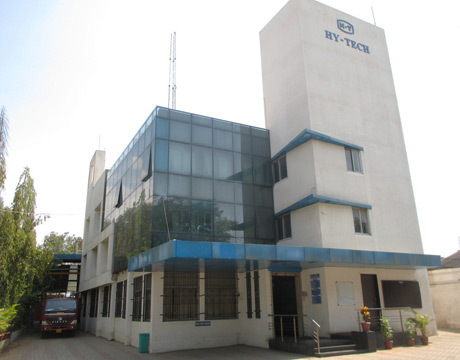 We have three fully well equipped modern inhouse manufacturing facilities in India under the brand name of HYTECH, with highly motivated team of employees and up to date technology assisting us to achieve reliable products at competitive price with better product flexibility, consistency and optimum service.